Psychophonetics is a modality of counselling and coaching with a psychotherapeutic approach for personal development and transformation. It views the human being as body, soul and spirit. It facilitates building a deeper foundation of self-knowledge and brings a new level of consciousness to personal experience. It explores current experiences, memories and patterns of behaviour and can offer new resources for action and creativity in the world. This form of holistic counselling encourages you to take deep leadership of your life. Yehuda Tagar founded Psychophonetics in 1991. It evolved out of Rudolf Steiner’s Anthroposophy and Psychosophy. It has also developed out of humanistic psychology, drama and expressive arts. Challenges, crisis and ongoing dissatisfaction can all be explored and can create an opportunity for learning and further self-development. Psychophonetics provides a foundation for you to reclaim your inner strength and wisdom. It encourages you to become independent and in charge of your life, offering practical tools for your on-going process. Psychophonetics counselling and coaching with its psychotherapeutic approach can provide a way forward if you are feeling challenged by life’s circumstances and something is in the way of you moving forward. It can offer support to you through a transition and if big changes are occurring. Vocation, health, stress and anxiety, abuse, eating disorders/weight issues, bereavement and loss, relationship issues, addiction, depression, anger, lack of confidence and self worth, are some of the reasons you may want to come for counselling. You will be welcomed in to a safe, warm and confidential environment in which to explore your issue. In every session we will converse to deepen your understanding of the issue you present, bringing underlying patterns into focus. Enhanced self-knowledge will lead you to make a new choice in the form of a wish or intention, which leads to the full Psychophonetics process called the Action Phase. This Action Phase will explore a specific moment from your recent life, which exemplifies the underlying pattern you wish to understand and transform. 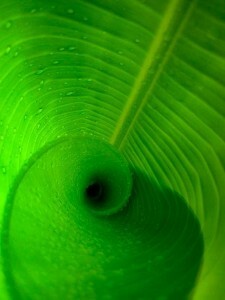 This moment is explored through sensing the body memory and activating the inner experience. Internal dynamics and characters will be identified enabling you to see how the patterns underlying your issue, work. Psychophonetics’ therapeutic approach uses gesture, movement, visualisation and sounds of human speech to explore what up to now has remained unconscious. Untapped potential, deeper personal identity, creativity, intelligence and healing become available through this process affecting lasting personal change. My intention is to offer a limited number of sessions, which will facilitate wellbeing and independence in the shortest possible time. It is usual for clients to want to come for between 4 and 6 sessions however a single session can also be very effective. Sessions are 1½ hour at £60. 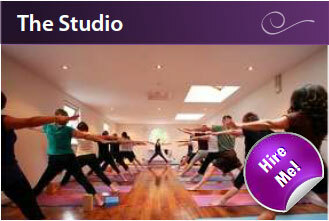 The 1st session is usually 2 hours at a small extra cost £65. If you would like to book a minimum of 4 sessions a discount of £15 is available if paid in full at start. Concessions are available in some situations. Please discuss at time of booking. The time you take now to explore issues in your life will facilitate a substantial change in how life shows up for you. You will feel empowered and have more resources to be able to take on further challenges. Your confidence and self -awareness can enhance your relationships. You may find yourself applying for that job you’ve always wanted. Self worth can become a pathway to your success. Tracey has an Advanced Diploma in Psychophonetics Counselling and Coaching for Deep Leadership. She has deeply benefited from this training in both my personal and professional life. It has been life enhancing and transformational. 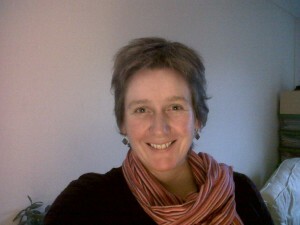 Tracey is also qualified in Holistic Massage and can offer this as a separate therapy. Massage can help to release emotional blocks in the body and she is currently developing a methodology in Massage and Psychophonetics Sound Healing. Tracey has been a single mother for over 20 years and she is truly committed to this path as her initiation into adulthood, alongside her other trainings, which have given her the tools. Tracey has worked in various residential and educational settings with a wide range of client groups including working with special needs, challenging behaviour and emotional difficulties. She has worked with an organisation in London for over 5 years where she received in-depth training in a cutting edge transformational setting. Her work there as a life coach deepened her interest in personal development and led her to train in Psychophonetics. Tracey has also trained for 5 years in Bothmer Gymnastics and Spatial Dynamics movement. She is currently developing this modality as a therapeutic addition to her Psychophonetics practice. Tracey is a member of IAPP-The International Association of Psychophonetics Practitioners and she is also a member of The Psychophonetics College of Teachers. She currently supervises and teaches students in their training of this modality. “Through this journey I have taken with Tracey, I have insights and tools to draw on when I feel overwhelmed, that enables me to find more perspective. I can also say that some of these sessions have been profound revelations for me. Tracey, I experience that with you I felt safe, allowing me the space to open areas of my soul that I found difficult to see with any perspective, and through your deeply empathic listening and with minimal guidance enabled an authentic healing and retrieval to occur. 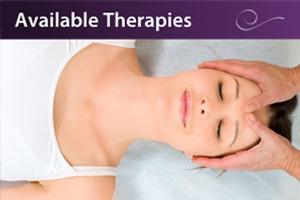 We offer a wide variety of well respected and established therapies. Each of our therapies and treatments will help you to improve your physical and emotional health and are suitable for all ages – from tiny babies to the elderly. We have a large team of fully qualified and highly experienced practitioners, all experts in their respective field and all have professional body registration. 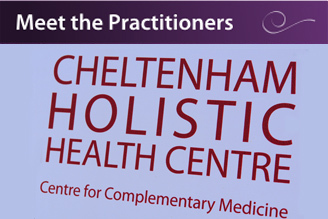 Our aim is to provide you with the best advice, treatment and patient care. Our studio is a beautiful, light and spacious room, which is multi-purpose and can be used for a variety of events and classes. It may be rented on an hourly, daily or weekend basis, in the daytime or evening.